Vote forBribie Island, QLDTop Island Destinations Which are Australia's must-visit destinations? You help us decide. The smallest of the three sand islands off the south Queensland coast, Bribie Island is widely recognised as a fisherman's paradise and doubles as the only Moreton Bay island that can be reached via car. Located just a short 45 minute drive from Brisbane, travellers can soon find themselves relaxing in a tropical oasis all in close proximity to the QLD capital - one that has a charm all of its own. Off the coast of Brisbane lies the gorgeous Bribie Island, neighbour to its nearby brother Moreton Island just a stone's throw away. Easily accessible due in large part to the bridge connecting it to the mainland, the island has long been a favoured escape spot for locals in the greater Brisbane region yet has plenty to offer tourists looking for a dose of tranquility as well. A scenic and tropical oasis, Bribie Island is a protected environmental island with a majority of the island covered in National Park and the waters surrounding it serving as protected marine parks. Far more equipped than your average island getaway, on Bribie you'll find a range of activities and facilities including the typical eateries, hotels, clubs, resorts and picnic areas as well as a shopping centre, movie theatre, golf course, bowls club and parks. It's this added level of convenience that blends together the best of both worlds of the escapism of a beautiful island environment with everything you'll need (without some of the exhorbitant prices) that help it stand out as a destination in its own right. A popular destination for both locals and tourists year round, however come the warmer months you'll find crowds flocking to the beach to enjoy an island getaway without the hefty price tag or elongated travel times of some "bigger name" island locations throughout Australia. An ideal destination for Brisbaneites looking to escape the city, Bribie Island has everything you'll ever need and more in an island getaway. Bribie Island is a gem to explore, with a number of great facilities and attractions located in such close proximity to Brisbane, the Queensland capital. A destination ideal for families, couples and friends looking to escape the city, you can be relaxing on this beautiful island in just under an hour. In terms of sights and attractions, visitors can expect to experience the best of Moreton Bay islands, with large sandy beaches and luscious vegetation all while still offering modern facilities. No matter if you have one day or one week planned for southeast Queensland, make sure visiting Bribie Island is on your list of things to do. Looking to pay a visit to Bribie Island but not sure what to do? Here are some of its most essential experiences. 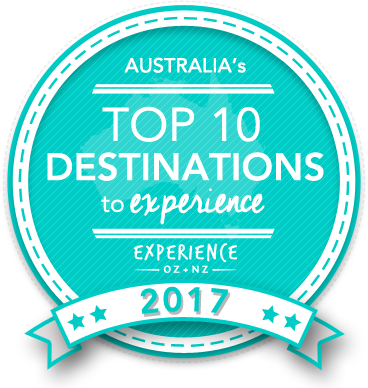 Is Bribie Island Australia's Top Major Destination to Experience for 2017? Vote now for the chance to WIN an epic trip to one of Australia's top destinations!